The purchase contract of buying a property in Spain….. You may find that the buying a property in Spain is a little different to what you are used to in your own country. It is always a good move to ensure that you are fully aware of the terms and conditions of the contract before you sign, once signed, the contract is legal, any deposit paid will be lost if you change your mind at a later stage. Always deal with a reputable agency like Bargain Properties and always use the services of a Spanish lawyer. We must emphasise that it is in your best interest to use a local Spanish lawyer when buying a property in Spain. The normal procedure after finding a Spanish property you hope to purchase is to determine the full price, at this point terms of the contract can be agreed and the amount of deposit can be decided upon, this will depend on whether you are buying a new Spanish property directly from the developer or a resale. Normally at this stage a visit to the Lawyer is recommended, he or she will be able to vet the contract and take up contact with the seller. Once the contract is signed and the deposit paid, all terms & conditions and price are fixed. We will supply you with a list of your likely in-going and on-going expenses of the purchase of your property in Spain, naturally your lawyer is there to answer all of your question as well. Always be sure that you are aware of your payment schedule, when the amounts have to be paid and how they will be paid You should also make provisions for these payments allowing for the time it takes for funds to be transferred to Spain, transfers normally take 3 to 5 days, again we will make sure that before you return home you are fully aware of all the aspects of your spanish property purchase. We will also take the opportunity to assist you in opening a bank account as this is necessary to first, purchase a property in Spain and secondly to maintain your spanish property once you have purchased. Once you have returned home there are always more questions that you would like to ask us, the door is open at Bargain Properties, just get in touch and we will give you the answers. You should always keep in mind that we are here to help you, and we understand that this is most likely your first spanish property purchase in Spain. We have sold thousands of Spanish properties and are fully experienced in looking after our client’s needs. Having made your decision about buying a property in Spain, the first thing you will be asked for is a deposit to hold the property in Spain and ensure the price and conditions of the contract, this is standard and to your benefit. If you decide to buy a new Spanish property then the payment scheme can be within reason tailored to your comfort, as the developer is here solely to sell Spanish properties, you will find him reasonably flexible. You may have decided to buy a resale Spanish property, again the above will still apply, however, you will be dealing with an individual and therefore the terms may be as much to the vendor’s benefit as they will be to yours. Always remember, we are here to see that whatever you decide is dealt with in a professional manner. When buying a property in Spain most resale contracts will require that you leave a 10% deposit with the balance of the payment being paid on completion at the notary, this normally takes one month from start to completion. New Spanish properties tend to adopt a different payment scheme, this is as most new Spanish properties will be under construction and you will be making stage payments to the developer throughout the construction period. Buying a property in Spain whether a resale or new Spanish property you will have additional expenses of the purchase, IVA (Value added tax) Notary & registration fees, conveyance, house insurance, wills and a few other items which all amount to approximately 10% of the purchase price. We always supply our customers with a comprehensive list of all the likely additional expenses of the purchase. We would also like to mention that Bank Guarantees are available to all our clients for each stage payment that is made, ask our staff for more details and you will be happy to know that your money is always safe with the bank guarantees.When buying a property in Spain you may require a mortgage to assist with the purchase of the property, not a problem, as we are constantly working with the Spanish banks, arranging mortgages for our clients. The Spanish banks normally lend up to 70% of the Spanish properties value and the mortgage will run for a period of 10 years, our staff will be happy to discuss all details regarding your own personal requirements on request. In ALL cases there are taxes and charges applied to the purchase cost of buying a property in Spain which have to be paid by the buyer. When buying new Spanish property I.V.A (Value added tax) currently the l.V.A payable is 7% in addition to this you will have the expenses of the notary, registration fee, in some cases legal rights and plus valia. If you decide a Spanish resale property, then you will find that you are no longer paying I.V.A. but instead you will pay I.T.P. which is a transfer tax currently 6%. As a general rule you should allow 10% of the purchase price to cover these expenses. Remember, we will give you a list of all your in-going expenses for everything. More information on buying a property in Spain. During the past 15 years a number of major factors have ensured that Spain enjoys long term growth and stability. The change from dictatorship, coupled with Spain’s entry into the EEC, has brought prosperity unthought of 25 years ago. Having one of the world’s finest and healthiest climates helps, with an average of 320 days a year of sunshine and no real extreme weather. There is a wonderful mixture of people and cultures, particularly along the coastal areas, and a long history of settlement by various armies has seen a cosmopolitan lifestyle develop. The most recent great armies seen to be invading Spain include those of our clients, seeking a better lifestyle, quality of life, healthier atmosphere and friendly people, not forgetting about that great climate. Many clients ask about the cost of living, well first it has to be said that for many things, the cost of living is still quite low, the climate and lifestyle ensures this. Fresh food is available daily, fish caught and sold every day and an abundance of fruit and vegetables, especially this forms the Mediterranean diet, this with a little vine and plenty of olive oil. There are plenty restaurants that offer a 3 course lunch (menu del dia) for around 6 Euros per head, which includes a beverage and coffee. Medical facilities are excellent in Spain and there is a first class National health Service (social security) which is free to those within the EEC with reciprocal arrangements, (you should contact your local Spanish Embassy for more details). Hospitals and clinics are everywhere, most with multi-lingual staff. Private health insurance is also available at competitive rates. Spanish schooling is excellent and of a high standard, for those of you with young children it is best to move them straight into a Spanish school where they will be taught English as a second language, very quickly they will be talking Spanish as a native. There are plenty of private schools, and foreign language schools. Full details can be supplied on request. When buying a property in Spain you have to be aware of the standard annual costs such as rates etc.these are reasonably low, but, the services provided are also much less. Once we know which Spanish property and in which area you wish to purchase, we will give you a guide of the likely annual expenses you will incur, we will also give you a full list of the in-going expenses. 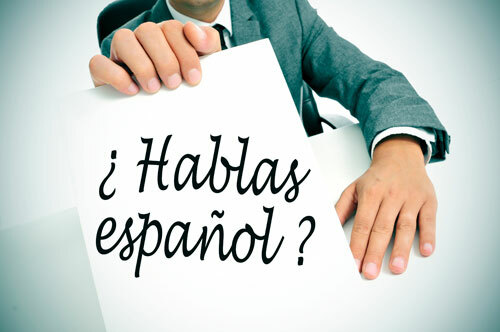 Please read our information on Spanish mortgages.